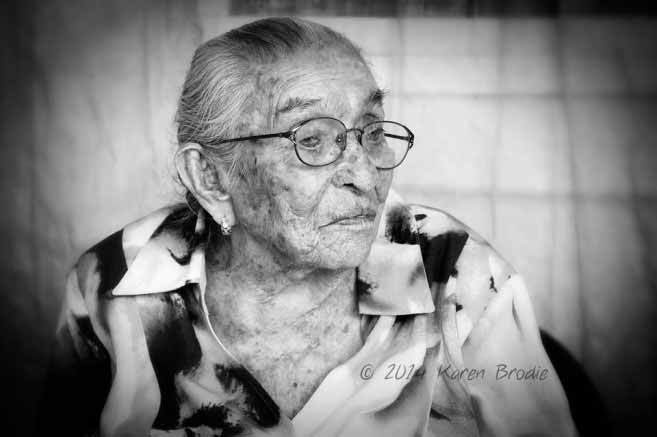 SanPedrana Mrs. Cecilia Lara celebrated her 100th birthday on Sunday November 9, 2014. 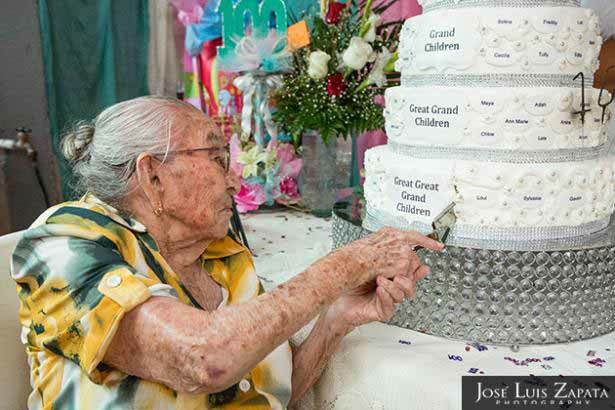 Her many relatives organized a party for San Pedro community’s one and only centenarian; a party that included a huge five-tier cake, catering services of Celi’s Deli, hundreds of invited guests, champagne, a piñata, and many pleasant surprises. Of interest on display at the celebration was a special birthday card with the photo and signature of Queen Elizabeth of England wishing Mrs. Cecilia a very special birthday. Another added touch of the party was the presence of renowned pianist/singer and entertainer of Chetumal, Quintana Roo. He delighted not only the birthday girl but all the invited guests who kept requesting for their favorite golden oldies and romantic ballads. Our centenarian herself requested songs like Cerca del Mar and Solamente Una Vez. At 100 years, Cecilia still has a very good memory and she is always willing to share stories of San Pedro from back in the days when only a handful of settlers occupied the island, to the time it began growing into a fishing community, changing eventually into a town and now as the bustling and country’s prime tourism destination. She still manages to move around her home with little help and is always determined to do things for herself. Cecilia has maintained that the secret to long life is the obedience to God, respect towards others and taking care of oneself. Cecilia’s grandparents were amongst the early settlers of Ambergris Caye who migrated from Mexico. She is the child of Josefa Paz and Ponciano Guerrero, both who passed away at a young age. Cecilia is the oldest and longest living bloodline of the Guerrero and Lara family of San Pedro Town. Amongst the many family members and friends that joined Cecilia in her birthday celebration were her two younger siblings, Efrain Guerrero Paz (86) and Thomasita Gomez (88), as well as her only living first cousin Tomas Paz Sr.